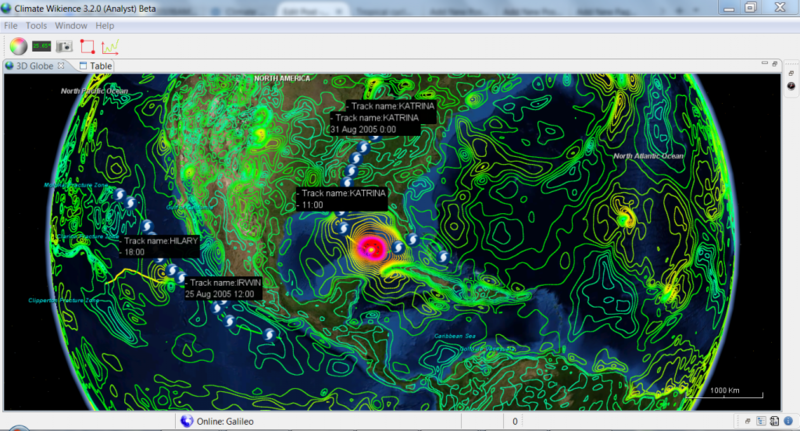 Climate Wikience provides several ways to explore tropical cyclones. Watch the interactive exploration of Hurricane Iniki wind swath using Climate Wikience. Iniki stroke Hawaii in 1992 being the 3rd costliest Pacific hurricane on history (estimated cost: $3.03 billion for 2015).